….and he hit the nail on the head with the color of Wesley Lake! 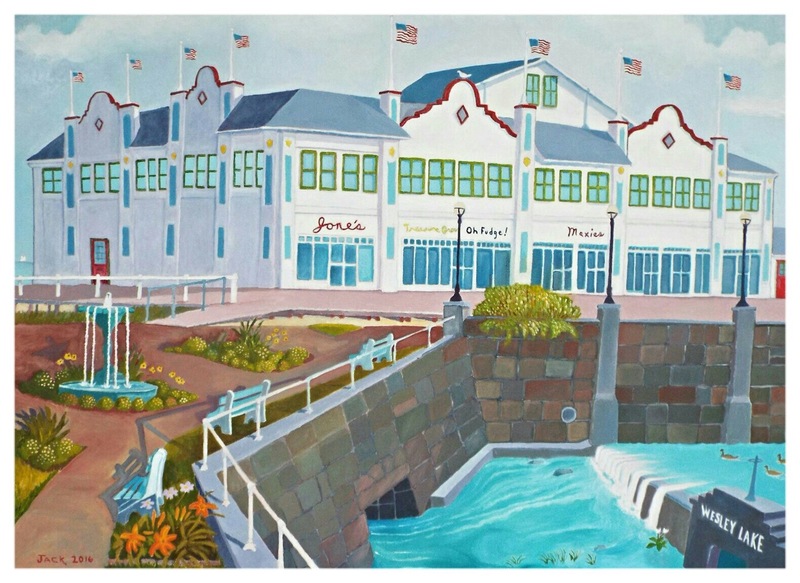 …..and it appears the flow of Wesley water is north into Asbury Park. My goodness! Flow Man/Art Critic: Jack Bredin has always been an artist who introduces his own fanciful personal style to his work. Thus he never paints scenics exactly as they are. He strives for “happy” renditions of the truth, and that is why you see windows that don’t exist, colors that suit his reality, blue water as if from paradise, and flow from the Wesley retention/detention basin which seems to be heading in the “wrong” direction.